Sharpie Pen – this is like a fine liner felt tip. I think it’s one of the best ultra fine felt pens I’ve used. Much smoother than the Maped or Staedtler. The nibs are quite strong too so I don’t think their liable to bend, fray or break. Uni Ball Air: I think I’ve found a new love. The nibs are so unique and the flow is bold. They are extremely smooth. I’ve put in a picture down below which shows the nib and the writing. The only downside is the slight feathering. Oh thank you… especially for the handwriting compliment. 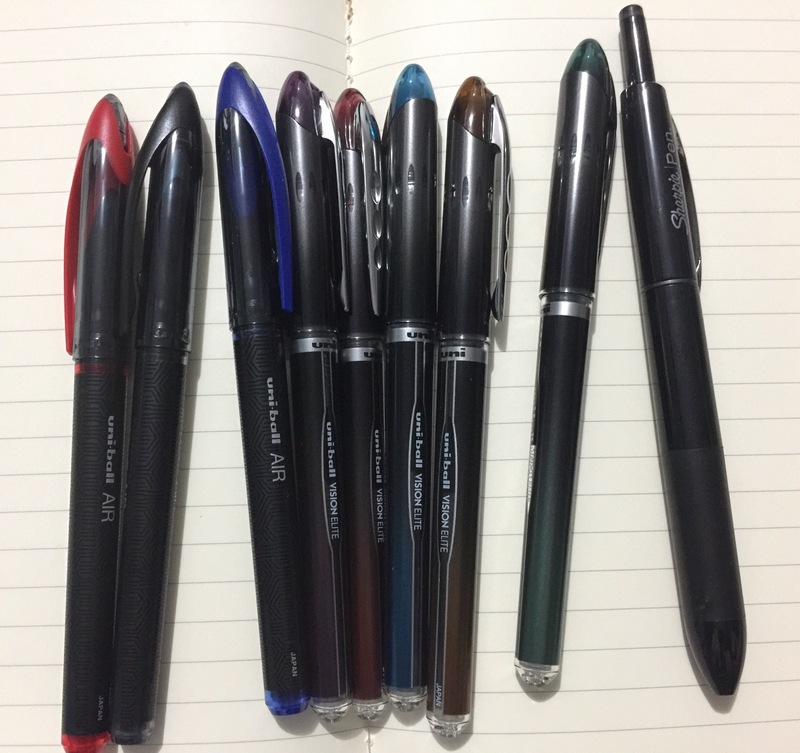 I love pens too. It’s such a joy to find one that writes well. 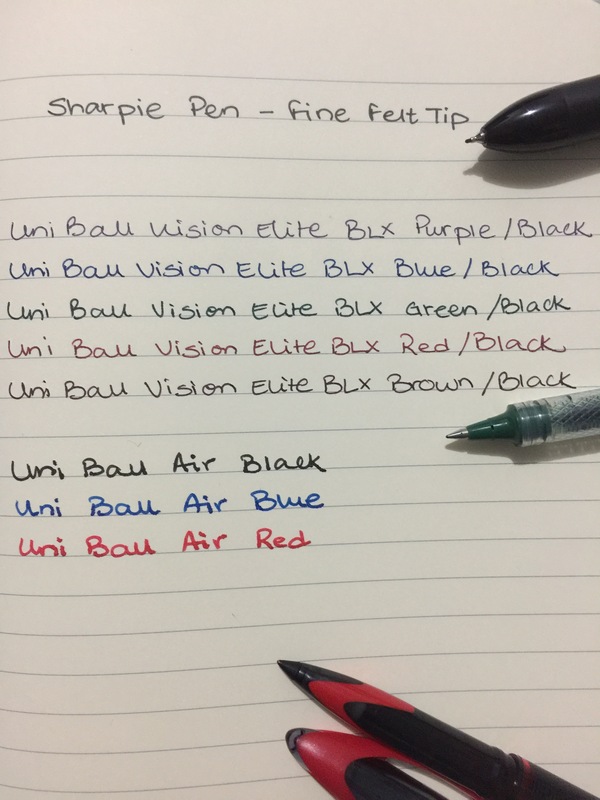 If you like bold writing I would urge you to check out the uni ball air. Is the Uni Ball a felt tip it looks like it flows like a felt tip. Hmm think I need to try one now. It’s not a felt tip. But it’s lovely and u can get 0.5 and 0.7 sizes. It really is lovely but it’s not thin. If you like bold or bolder, then this is for you.